It was the ultimate fashion victory: Sixteen-year-old Shannon Bishop sported the jeans she bought on vacation, and heads turned. Her friends wanted to know where they too could buy the dark denim pants with flared legs and rainbow stripes running cheerfully down the sides. Shannon, who wears between a size 18 and 20, isn’t the only full-figured young woman cheering these days. Once relegated to apologetic tunics, last year’s jeans and dresses that only a matron could love, teens and young women who wear sizes 14 and larger have more clothing choices than ever. Seeing dollar signs and a market hungry for fashion diversity, designers are jumping on the bandwagon to offer contemporary, hip clothes in plus sizes. Retailers are eager to capture this market, especially as the weight of many of America’s children and teens continues to rise. 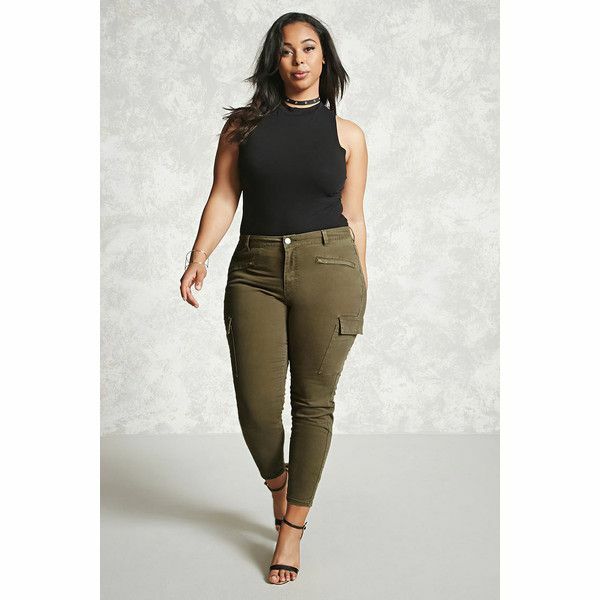 While some basic items had been available for years, full-figured women are beginning to demand the same up-to-the-minute, youthful styles–shapely leather jackets, boot-cut trousers and cuffed denim jeans–that are readily accessible to smaller women. And retailers are listening. “The manufacturers and retailers have realized that, demographically in age and income, full-figured women are identical to their thinner counterparts,” said Nancy LeWinter, a co-founder and publication director of Mode, the popular fashion magazine catering to women sizes 12 and up. BCBG Max Azria, a designer line, recently launched fashions in sizes 1X to 3X (14 to 22) that are “exactly what is on the floor” in smaller sizes, said Jennifer Highman, a sales manager for the company. Included in the collection are slip dresses with adjustable straps, twin sets and T-shirts with keyhole necklines. Highman said the clothes will range from about $46 for T-shirts to $266 for a constructed jacket. Camarella said she and Buonaro originally envisioned a target age range of 19 to 34 years old, but many of their customers are in their 40s and 50s. Much of the emphasis is on what Camarella calls “body-conscious” dressing. To fully appreciate how much the rules have changed, all you had to do was see the venerable Lane Bryant’s Venezia fall fashion show in New York. In the past, many of Lane Bryant’s clothes were considered utilitarian and pleasant but not cutting-edge.